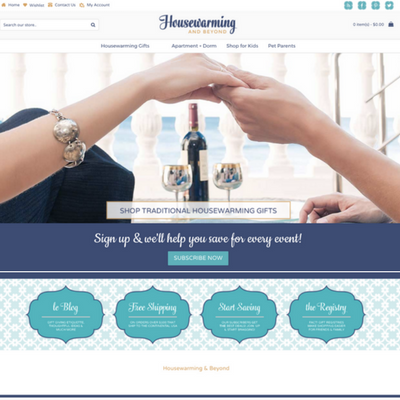 Concept: Welcome to HousewarmingAndBeyond.com - this ready-made home goods website offers a variety of decor and gifts to warm any home! 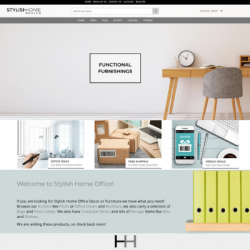 The easy to shop categories make it easy for online shoppers to find traditional housewarming gifts, apartment & dorm gifts and gadgets, pet lover must-haves, as well as, kid-friendly decor to celebrate their new space! 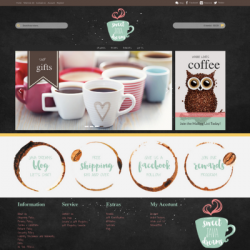 This charming website will look great when shoppers view it on their PC, smartphone or tablet as it is a 100% responsive design website. Plus, it offers an array of marketing applications including scrolling images on the home page, product showcase, banners promoting the newsletter, blog and sales Connect with your customers through the connected Facebook, Twitter and Pinterest pages where you can share tips and inspiration to inspire your followers everywhere! Have you been searching for the right internet business to own? Need to know where to start - let Pure-Ecommerce help you step into this website business. By choosing to work with our team you will receive a high quality website which is loaded with all drop ship products, 40 hours of consulting, 10 Step Instructional Program to help you get started, as well as access to our eLearning Library! Looking for a little more assistance when it comes to search engine optimization, social media marketing, blogging and additional consulting then check out our platinum package upgrade. Act now! Request more information about this ready-made online business opportunity before it is gone! Total existing-home sales, which are completed transactions that include single-family homes, townhomes, condominiums and co-ops, finished 2016 at 5.45 million sales. Approximately 20.5 million students attended American colleges and universities in 2016. By 2025 the number of students expected to attend American colleges and universities is set to rise to approximately 24 million. There are approximately 54.4 million households who own dogs with a total of 77.8 million dogs being owned in the U.S. according to the APPA. The APPA also reports Americans spent an all-time high of $55.7 billion on their pets in last year and spending will creep close to $60 billion this year.